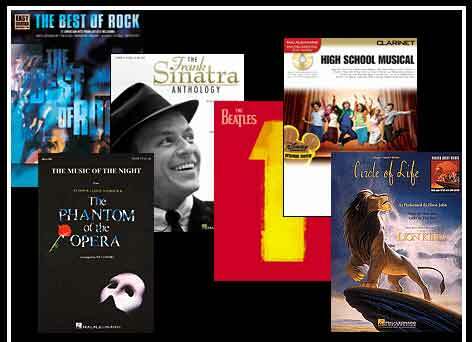 At Forté Music it is easy to find the printed music you are looking for. Forté Music carries all genres of printed music such as methods, theory, classical, instrumental, pop, Broadway, soundtracks, jazz, wedding, religious, clearance, and many others. If you are unable to find a particular song or book, we will order it in for you at no extra charge. Be sure not to miss the one dollar per pound of clearance music when you visit our location.